NOTE: This website contains a wealth of information, including films, which, taken together, serves as a detailed historical record of the principled struggle of the ‘Open EYE’ Early Childhood campaign, which was formed in the autumn of 2007, and subsequently merged with Early Childhood Action in early 2013. Open EYE waged a concerted media campaign against aspects of England’s statutory Early Years Foundation Stage (EYFS) over a number of years, was highly regarded, and had a number of major critical and media successes. Its persistent re-statement of core perennial values about early development and learning was an inspiration to large numbers of practitioners, and helped to keep alive a holistic, child-centred ethos in England’s early childhood sphere. The arguments rehearsed on this website about early learning are just as relevant as you read this as they ever were, and so we are leaving the website up in its entirety for researchers, students and concerned citizens to consult and enjoy – for alas, the issues we are addressing here aren’t going away in the foreseeable future. A sincere thanks to you all for your support. OpenEYE consisted of a unique, multi-disciplinary team of experts who came together through a shared concern about Early Childhood in the UK. They had the support of an increasing number of childminders, parents, practitioners and teachers. Additional support came from a prestigious group of international researchers, authors and early childhood experts. OpenEYE was an entirely voluntary group who give their time freely to the cause. Richard Brinton is a former Waldorf teacher and Principal of Hawkwood College, Stroud. He joined the Open EYE campaign as one of its founding members. One current project of his is a book, Finding Family; through story, biography and pilgrimage, it explores the challenges as well as joys and hope of parenting at a time when traditions can ring hollow and an understanding and feeling for childhood seem increasingly lost. John Dougherty is a former primary school teacher with extensive classroom experience who, after eleven years of tick-boxes, OFSTED and endless government initiatives, decided that enough was enough. He is now a full-time writer of fiction for children. John is also the father of two children who spent most of their early years education in the kindergarten of a school which subscribes to a well-respected alternative educational philosophy. He believes that state education should offer access to a range of philosophies, and that government micro-management is bad for schools. Margaret Edgington is an independent early years consultant, trainer and author, and a Vice President of the National Campaign for Real Nursery Education. She has campaigned throughout her career for an approach to early years policy making that puts the needs of young children first. Wendy Ellyatt is a writer and researcher with a particular interest in societal values and well-being and the importance of safeguarding natural development in the early years. She is a fellow of the RSA, the founder of the Unique Child Network (www.uniquechildnetwork.com) and co-founder and CEO of the Save Childhood Movement (www.savechildhood.net). Wendy joined the Open EYE Core Team in 2008 and was the creator and editor of the Open EYE Newsletter. Grethe Hooper Hansen is a former head of SEAL (the Society for Effective Affective Learning), an international organisation founded to explore the pedagogy of Dr Georgi Lozanov and other innovative approaches to learning. Originally a school teacher, she moved into teaching English as a Foreign Language, worked in Italy and England. and is currently writing a book on a new concept of education based on Lozanov’s learning beyond the confines of the conscious mind. Dr Richard House is senior lecturer in early childhood (Dept Education Studies and Liberal Arts) at the University of Winchester, and a trained Steiner Kindergarten and class teacher. He edited Open EYE’s best-selling edited anthology Too Much, Too Soon? : Early Learning and the Erosion of Childhood (Hawthorn Press, Stroud, 2011), and continues to campaign on early childhood with the Save Childhood Movement, founded in 2012 by fellow Open EYE member Wendy Ellyatt. Graham Kennish is a Steiner science teacher and teacher trainer with over 40 years experience. Lynne Oldfield is Director of The London Steiner Waldorf Early Childhood Training Course and author of Free to Learn: An Introduction to Steiner Early Years Education (Hawthorn Press, Stroud, 2012). A co-founder of the Open Eye Campaign, she has championed the rights of children to have a healthy early childhood for over 40 years. Her current focus is to encourage early years practitioners to distinguish between appropriate and inappropriate early years curricula. Sue Palmer is a specialist in primary literacy, notably grammar, an educational speaker, author, mother and grandmother. Research for her 2006 book Toxic Childhood convinced her that current UK policy on childhood and education is seriously flawed, and led to collaboration with Dr Richard House on campaigns to draw attention to these issues. She is a founder member of Open EYE and Early Childhood Action, a former President of Montessori AMI UK and a member of the Scottish government’s Early Years Task Force. Kim Simpson has owned and run Montessori nurseries for 35 years; trained in parent coaching, is a practising psychotherapist and and was Chair of the Psychosynthesis & Education Trust. She has campaigned, and has a passion, for all children to be protected from any policies which erode their rights to a natural childhood, and is co-founder and Director of the Save Childhood Movement. Over the last three years we have produced a series of regular newsletters and the newsletter archive can be read online here. 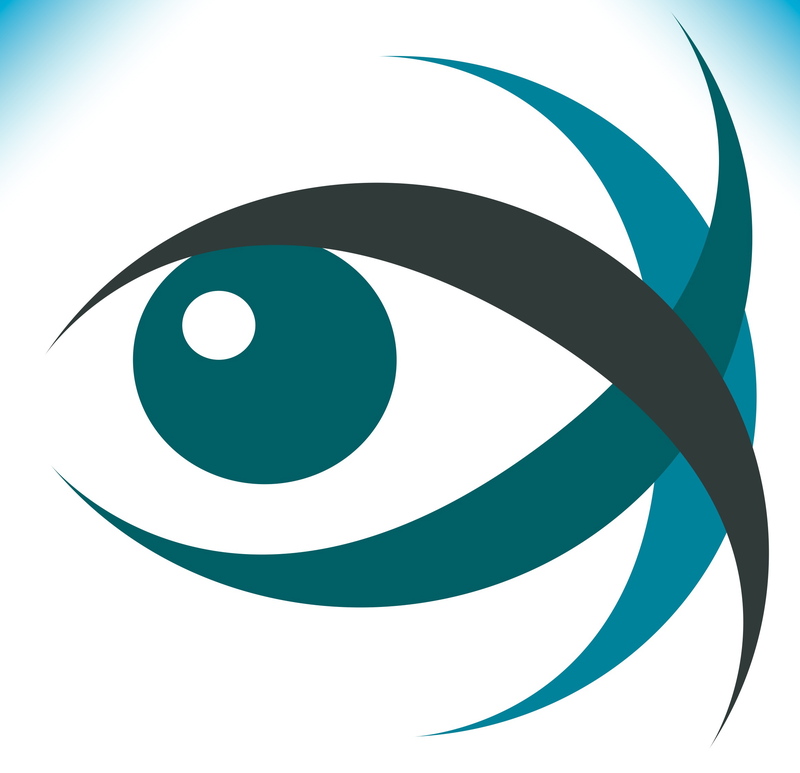 We hope to soon be sending out an update about new OpenEYE developments. To join our email list and subscribe to any newsletter updates please use this link. There is no charge and you may unsubscribe at any time. OpenEYE held its second national conference in June 2010. Each of the key speaking American professors – Kathy Hirsch-Pasek and Lilian Katz – made an eloquent case for playful learning before formal instruction, and Dr. Sebastian Suggate shared his research into early reading, showing that later readers who start at 7, by the age of 10, actually surpass those who start at 5. The psychologist Dr. Aric Sigman spoke with a punch about the adverse effects of screen-based technology in the early years. He said, instead of screens that can induce ADHD, a child needs real experiences to create new neural circuitry in the brain that becomes intelligence and empathy. By their questions it was clear that the roomful of teachers, parents and educators were, with us, committed protectors of the child’s right to a childhood of imaginative play uninvaded by politicians’ prescriptive curricula and harmful screens. A DVD of the conference is now available. The same spectres of mechanistic and materialistic thinking that we are challenging in the Open Eye campaign, are now looming in America. The Alliance for Childhood has issued a statement of protest, signed by several hundred distinguished educators and academics, against the core standards for children just issued by the National Governors Association and the Council of Chief State School Officers, which place heavy emphasis on language and mathematics. A familiar theme from UK is their condemnation of the long hours that very young children will be made to spend on cognitive work and didactic instruction, and the inappropriate standardized testing that will crowd out other far more important areas of learning. Like Open Eye, they call for the creation of a consortium of early childhood researchers, developmental psychologists, paediatricians, cognitive scientists, master teachers and school leaders to develop comprehensive guidelines for effective early care and teaching that recognise the right of every child to a healthy start in life and a developmentally appropriate education. These views accord with those of the Open EYE Team and give substantial weight to our concerns. We have consistently expressed the view that the EYFS statutory framework for learning & development has the potential to be damaging to the emerging love of learning so inherent in the nature of the young child, with its developmentally inappropriate requirements. Whilst Open EYE recognises the concerns of parents that children should learn the 3Rs, it is important to emphasise that these basic skills are easily achieved through a less formal and more age appropriate approach when children are given sufficient time, in a developmentally appropriate way. This fact is borne out by the reports from many European countries, where children start school much later, but where the 3Rs seem to present much less of a problem. The Cambridge Review is highly encouraging to the OpenEYE group with its commonality with what we, and others, have been saying to the government now for two years; but which seems to have been systematically ignored. The title of our film ‘too much, too soon’ seems to have hit the nail right on the head and, though the findings of this Review are all very encouraging, they will need to be ‘actioned’ before we can feel confident about any positive impact on improving the well-being and future success of our youngest children. It is gratifying to the Open EYE group to see the connectedness between early years and later now being given serious attention in an holistic way. The Open EYE Campaign has continuing concerns about the EYFS, one year on…. (1) It is still far too early to say whether, taken as a whole, the EYFS has been successful or not. Not least, we will need to see a substantial number of post-implementation Ofsted reports to find out whether settings are being appropriately assessed and advised by Ofsted inspectors in relation to their interpretation of the EYFS. (2) There are severe doubts as to whether practitioners are prioritising the quality of their settings in relation to children’s real developmental needs, rather than prioritising how many ‘brownie points’ they can earn from Ofsted. Whilst the two are not necessarily unrelated, choosing the latter over the former is likely to have dire consequences for children’s development. (3) The issue of the literacy goals has not been addressed at all, despite continuing complaints and representations from across the early years field (including a recent public admission by strong EYFS supporter, Bernadette Duffy, that the literacy requirements have no research base), and the Rose Review’s missed opportunity to recommend that these controversial goals be held back for at least a year – when all the evidence and informed opinion points to it being the correct and appropriate change to make. For example, the recent ‘Early Education’ (EE) questionnaire results, based on the QCA’s EYFS survey, has thrown up significant disquiet about the literacy requirements of the EYFS. In addition, the EYFS recommendations made in the recent Select Committee’s report underline these concerns – viz. : ‘…we draw the Department’s attention to the near universal support for the reconsideration of the Early Learning Goals directly concerned with reading, writing and punctuation’. This further belies the current claims about the alleged ‘universal embracing’ of the EYFS. (4) We are also very concerned, however, that as many as 7 in 10 of respondents to the EE questionnaire did not question the EYFS literacy goals. This suggests that there may well have been a kind of compliant, uncritical acquiescence to the state’s imposed but misguided model by many early years staff – a possibility that has concerned Open EYE all along. (5) There has been a woeful lack of precision about what the term “EYFS” is actually referring to in virtually all public discussions about the framework, and it has increasingly become a non-discriminating generic term (rather like ‘hoovers’ for ‘vacuum cleaners’). There is much in the practice guidance which, as a framework, can be a useful resource as long as the age-related grids are not taken too literally. However, this usefulness should not be used as an expedient smokescreen for obscuring those politicised aspects of the compulsory framework which are highly contentious, have no evidence base, and which many practitioners and academics are continuing to challenge strongly. (6) The recent QCA’s EYFS questionnaire survey is inadequate and methodologically flawed, with questions that are non-sensical, and leaving little if any space for critical comments about the EYFS to be made by practitioners. Any results it produces must therefore be treated with extreme caution. (7) Re childminders: approaching 1,000 citizens have now signed the Downing Street petition asking that the EYFS be dis-applied in the case of childminders. The government has responded with extraordinary complacency to the precipitate decline in the number of registered childminders, at a time when it is arguing that we need a growing supply of childcare places. It seems that the government simply dare not admit the obvious – i.e. that the concerted decline in registered childminders since EYFS was introduced is directly linked to the inappropriate bureaucratisation and ‘schoolification’ of childminding that the EYFS introduces. Recent Ofsted documentation for childminders also explicitly states that childminders have a legal requirement to provide an ‘educational programme’ for their children. This represents yet another ratcheting-up of the insidious ‘schoolification’ of early childhood experience, which many authoritative commentators, including Open EYE, believe to be undermining the psychological foundations of a healthy childhood. (8) The one completed attempt to date to apply for a principled exemption from EYFS, by a childminder from Warrington, was summarily refused, and for reasons which are very difficult to understand. Whilst this is being pursued with the Department, it does confirm Open EYE’s fears that the EYFS exemption process has been deliberately designed to make it virtually impossible for anyone to succeed in negotiating it successfully. Following the recent concession on exemptions for Steiner settings, as a matter of equity, it is essential that any other settings which object philosophically or pedagogically to the statutory EYFS learning requirements can also be granted exemption, for the Steiner movement’s concern that the literacy, numeracy and ICT requirements are inappropriate is shared by many non-Steiner practitioners throughout the field. Open EYE would also hope to see a positive response to any exemption application made on the grounds of a deeply held personal conviction, whether of institutional or parental origin, as this would demonstrate a true commitment to diversity and parental choice in matters of education. (9) As predicted by Open EYE, the non-statutory, age-related development matters grids are being used to represent normal development – in spite of the fact that they are deeply flawed, and in some cases non-sensical. Children are now being routinely assessed against these grids, and local authorities (through the LA outcomes duty) are making judgements about settings based on the numbers of children who appear to achieve well. Children and settings deemed to be failing are targeted for extra support. This ‘audit culture’ should have no place in early years, where children’s development is naturally varied, and where any pressure is likely to cause anxiety and damage to self-esteem. (10) Finally, it is concerning that, far from encouraging the school starting age to remain at 5 and beyond, there is now a new policy arising out of Sir Jim Rose’s recent primary review, to get children into school as soon as they are 4. This is highly regrettable, and there is certainly no research evidence to support such a policy shift. It also strongly suggests that the recommendation by the government’s own Early Education Advisory Group, that the government should review school starting age and extend the EYFS to the end of year 1, is being ignored by the DCSF. Open EYE has now submitted our final response to the Rose Report. Please click on the link below to open the pdf file with the full text of our submission. OPEN EYE’S SUBMISSION OF EVIDENCE TO THE ROSE REPORT 2009. In the meantime, the campaign against the statutory nature of the learning and development requirements of the EYFS continues apace. We hope that the new Minister for Children, Young People and Families will be open to our concerns.